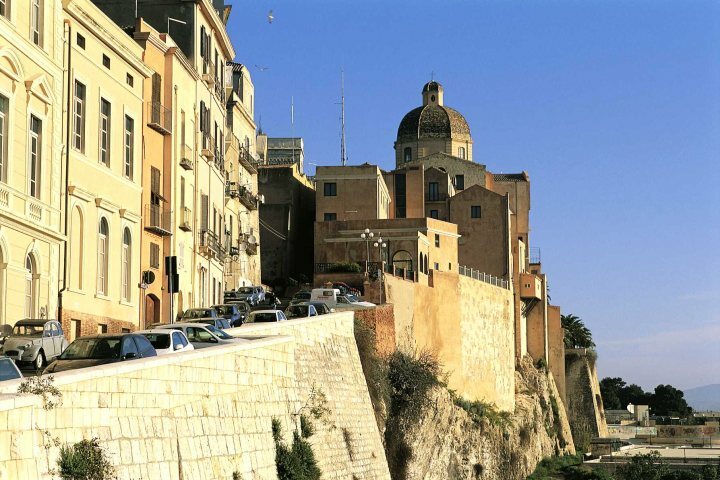 Cagliari may be Sardinia’s largest city, and its capital, but it hasn’t lost the feeling of a friendly, laid-back town, oozing old-world charm, especially in Castello, the historic district, where 14th-century towers still stand guard over the medieval city walls. It’s particularly romantic around sunset when a golden light illuminates the ramparts. Our walking tour starts at Bastione di Saint Remy, built in the late 1800s in white limestone. An impressive double flight of stairs leads you through an imposing archway and to a lovely terrace, with panoramic views across the city and out to sea. 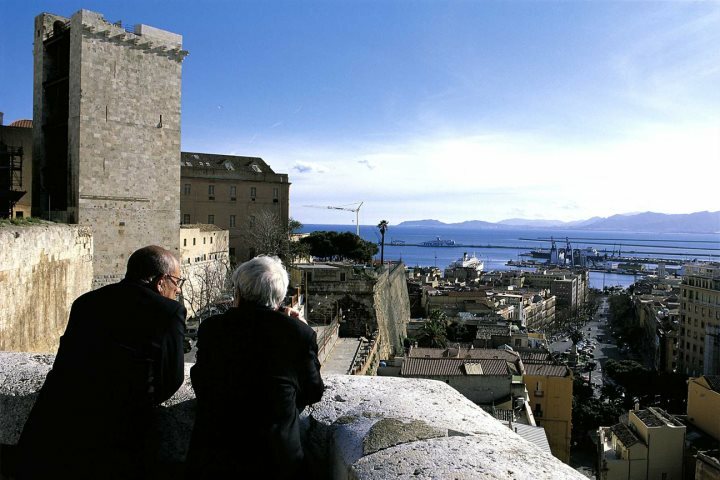 Heading north along Via del Fossario, you’ll pass Caffè delle Arti, a good coffee stop, offering more stunning views from their terrace. 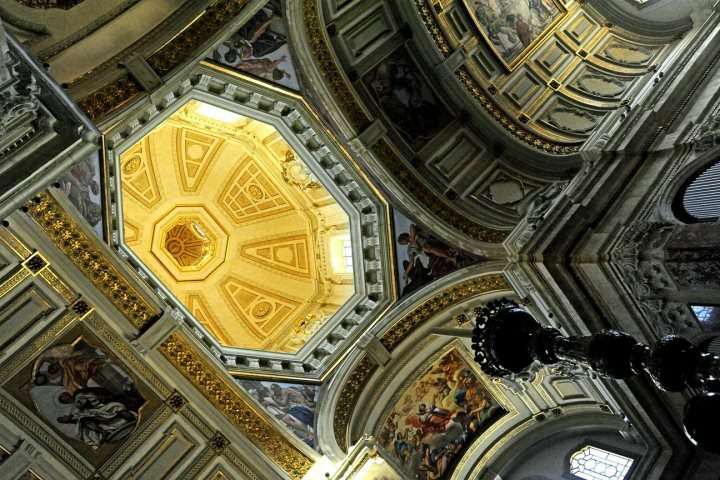 A little further on you’ll reach the Cathedral of Santa Maria on Piazza Palazzo; a look inside is a must. 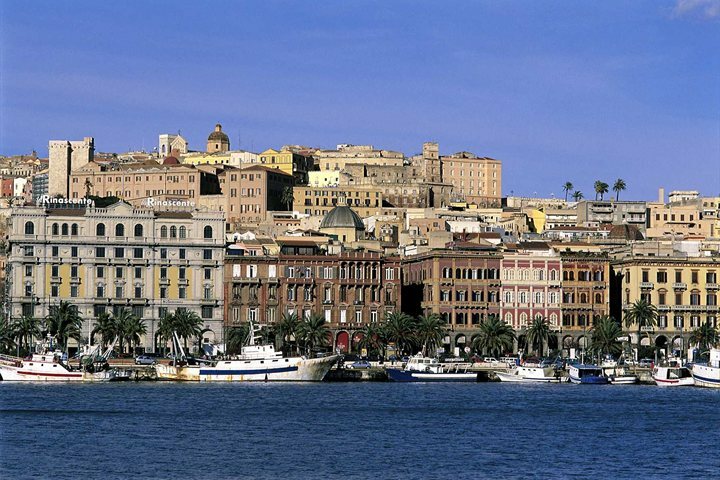 Built in the 13th century in Pisan-Romanesque style, Cagliari’s cathedral was renovated in the 17th and 18th century. The current façade, however, only dates to the 1930s when it was redesigned in the Neo-Romanesque style, inspired by Pisa Cathedral. On leaving the cathedral turn right, heading north along Via Pietro Martini. Here you’ll find Palazzo Regio, formerly the Savoyas palace. A number of very grand rooms are open to visitors where you can admire the paintings once owned by the Viceroys. Carrying on into Piazza dell’Indipendenza, you’ll come to the first of two towers overlooking the city, Torre di San Pancrazio. Finished in 1305, with its walls of thick limestone blocks, the St. Pancras Tower was built to protect the northern side of Castello from the rising threat from Aragon. Following careful restoration, it is now open to the public via the adjacent Palazzo delle Seziate. From the tower, follow Piazze Arsenale, taking note of the Porta Cristina, a fine gateway on your left, and head to the Cittadella dei Musei where you will find a fabulous archaeological museum, home to many fine artefacts spanning millennia of ancient history. It’s worth allowing a couple of hours to have a good chance to look around all four floors. The national art gallery, the wax anatomical models of "Susini" and the Siamese Art Museum are all here too. On leaving the museums head south, back past the tower, and take the turning on your right down Via Alberto Lamarmora. At the Piazza Carlo Alberto turn right (heading west) and then left (heading south) down Via Corte D’Appello where you’ll find the second of the two towers, Torre dell'Elefante on Via Santa Croce. Again, it’s well worth the climb for yet more wonderful views. Completed in 1307, the Elephant Tower protected the south-western side of Castello and takes its name from a marble statue of an elephant. 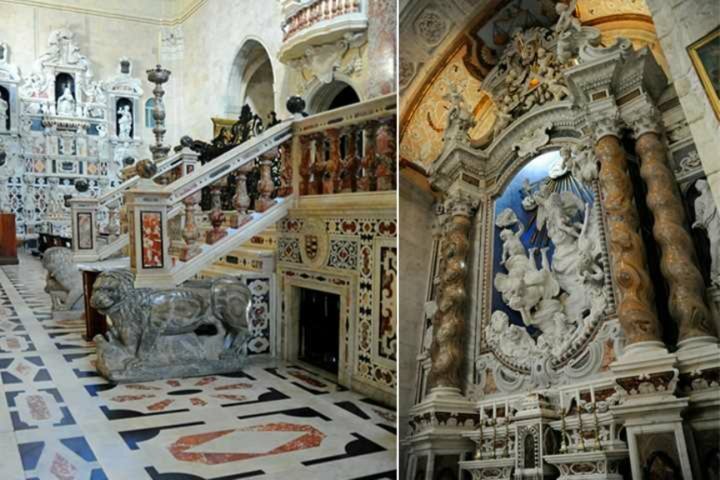 It has also been restored and is open to visitors with the entrance being to the one side of the Church of St Joseph (Chiesa di San Giuseppe Calasanzio). 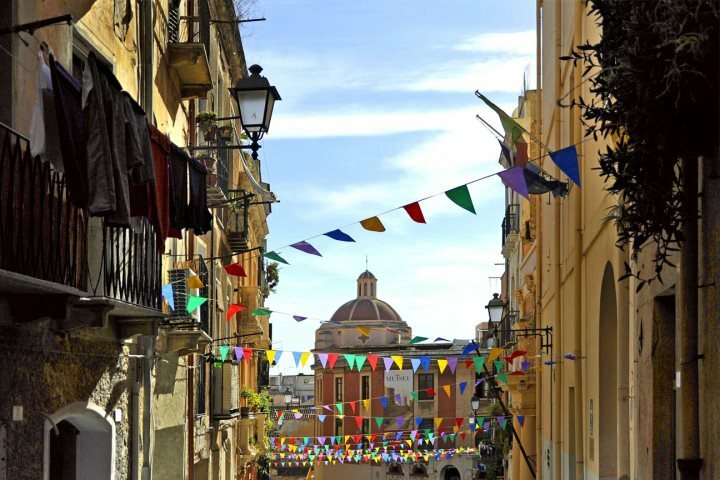 Our walking tour of the historic centre of Cagliari ends here, but, after climbing all those stairs, you will no doubt be in need of sustenance. My recommendation would be to head south towards the marina until you reach Via Roma. 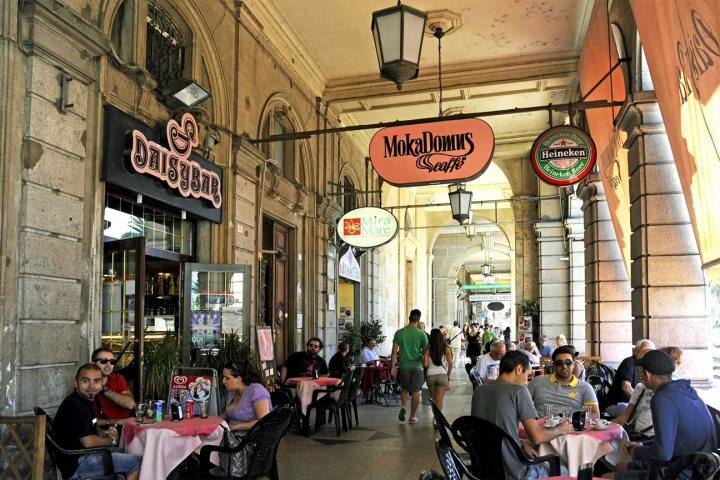 Here you’ll find a string of cafés and bars under the porticoes. They’re a great place to grab a coffee or beer, even a light lunch, and enjoy a spot of people watching. However, if you nip down Via Lodovico Baylle, just off Via Roma, you’ll find Sabores, a superb little wine bar come delicatessen, serving excellent Sardinian cheeses and cured meat platters with craft beers and local wines. It gets very busy, so it’s advisable to ring ahead and book a table (+39 070 653216). It’s the perfect place for lunch or a light evening meal and a great place to pick up some delicious local produce, such as aged pecorino, myrtle sausages or honey, and not forgetting, local wine. A good vegan alternative would be Universo Vegano on Corso Vittorio Emanuele II, near the Elephant Tower. 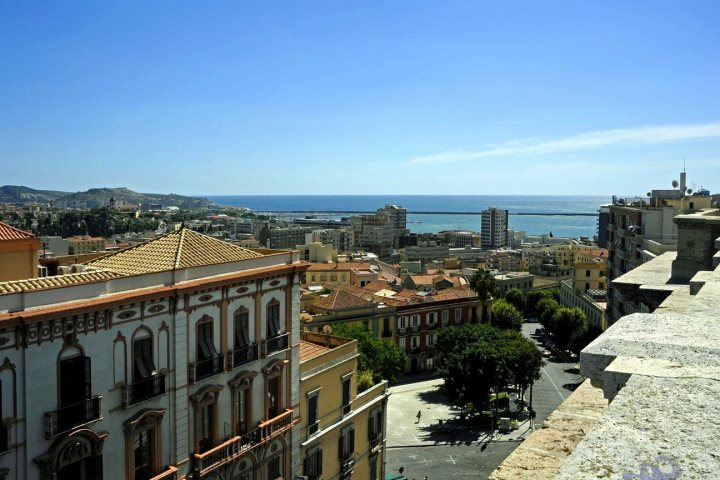 For gluten-free options in Cagliari, check out Glutenfree Roads. 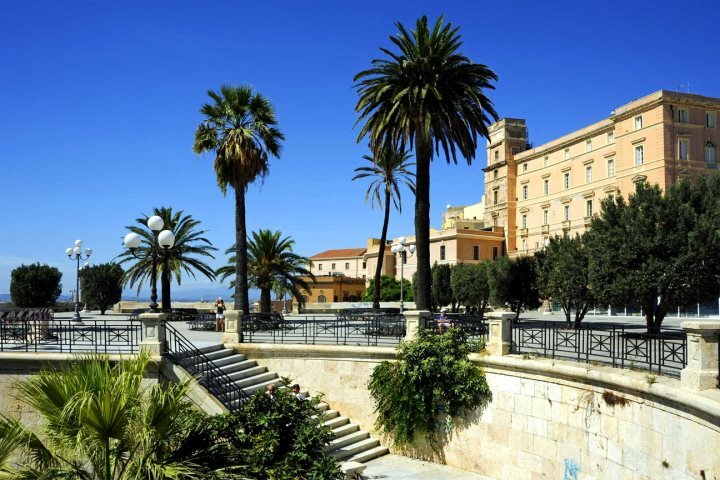 Discover more things to see and do in our guide to Southern Sardinia. And for inspiration on where to stay check out our villas, hotels and residences in Southern Sardinia.